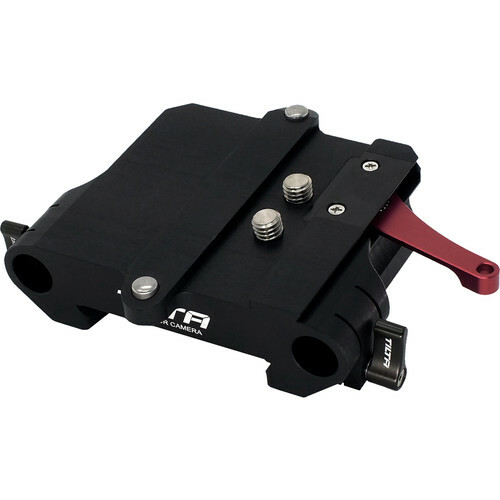 The Tilta 15mm Studio ARRI Standard Bridgeplate Adapter adapts a Tilta standard baseplate to fit on an ARRI standard dovetail. Rod clamps are properly spaced and offset for compliance with the 15mm Studio standard. Two 3/8"-16 screws are included for securing the Tilta baseplate atop the bridgeplate. Box Dimensions (LxWxH) 6.05 x 4.35 x 1.6"